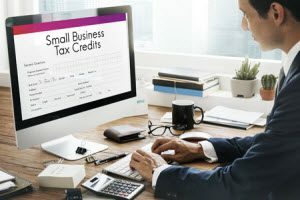 If you haven’t been taking advantage of Work Opportunity Tax Credits or are asking yourself “what are WOTC target groups?”, there’s a good chance that your organization is missing out on some important tax incentives. The government defines target groups as categories of people who face life circumstances that make it challenging for them to find gainful employment. For example, a recently discharged veteran might find that their lack of recent work experience in the private sector puts them behind other candidates. Furthermore, a former felon released from prison is likely to face discrimination in the hiring process from employers who are risk-averse. In other scenarios, disadvantaged groups are the target of government incentive programs in order to help create stronger, more economically stable communities. For example, families that receive monthly aid to pay for food, or at-risk youth in poverty-stricken regions might qualify under a WOTC program. How Do You Determine a Target Group for a New Hire? Consequently, when a new hire fills out their onboarding paperwork, form 8850 (the Pre-Screening Notice and Certification Request for the Work Opportunity Credit) should always be a part of the package. This form allows the new hire to disclose whether they fall into any of the designated WOTC target groups. In some cases, the government may include the new hire in more than one group. Furthermore, new hires should check all boxes that apply to their circumstances. The maximum tax credit ranges from $1,200 to $9,600, depending on the employee hired. The employer should assign new hires to the category with the highest available incentive for which they qualify. For example, an unemployed, disabled veteran would qualify at a higher rate than a SNAP recipient. The next form is the 9061 (Individual Characteristics Form) which gives more detail in determining the employee’s target group and what documentation is needed to confirm their status. The employer should ask the new hire to provide any precertification documents they may have been supplied by the SWA. There are also a number of other forms of evidence that are used depending on the specific WOTC target group. Does the answer to “what are WOTC target groups?” sound complicated? It can be—especially when filling out forms by hand. Using an automated system to walk new hires and HR through the process each time helps speed things up. The system also reduces the risk of making a mistake that could cost your organization its well-deserved tax credits. Our team specializes in helping businesses comply with the 28 day deadline for WOTC filing and making the most of every available credit. Learn more by contacting us.